With experience and dedication, we are able to bring our quality long or short term care to people of all ages, whether we are needed for a 3-hour visit once a week, or for 24/7 live-in care. We're committed to providing the HIGHEST quality care! 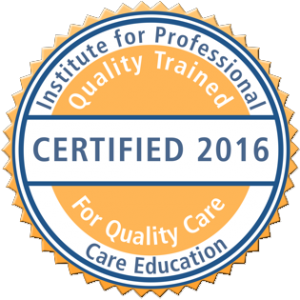 At All Care At Home Inc. we use training programs developed by the Institute for Professional Care Education® to ensure that every employee has the skills and knowledge needed to provide high quality care. We pride ourselves on hiring people for their compassion, experience, and flexibility. But we know this isn’t all it takes to provide the best care possible. Caregivers also need excellent skills and competency in care — and that comes from excellent training. Our care staff undergoes formal training and continuing education programs developed by the Institute for Professional Care Education, the national leader in senior care training. Consider us your home care experts. Restoring the dignity, confidence and security of every person. We understand the need for independence and confidence, especially in the more private moments of the day. However, some conditions make that impossible. It is always our goal at All Care at Home to provide every client with the respect and dignity they deserve, to bring them senior home care that feels compassionate, safe, and most of all, comfortable. We offer home health care as well as companion care, because we want to meet your needs, whatever they may be. Contact us today. 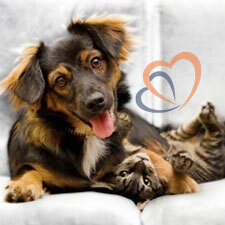 Wiggles and Walks provides pet care that includes overnight care, walking, feeding, play time, and poop pick up. We will even provide transportation for appointment! Perfect Care for All Kids provides In-Home Childcare. We provide a safe and affordable childcare alternative to facility-based daycare. Our services include baby sitting, transportation, light housework, meal prep, homework help, and more!